MessageToEagle.com – If you have suspected there is something hidden beneath the thick ice of Antarctica, then you were absolutely right. 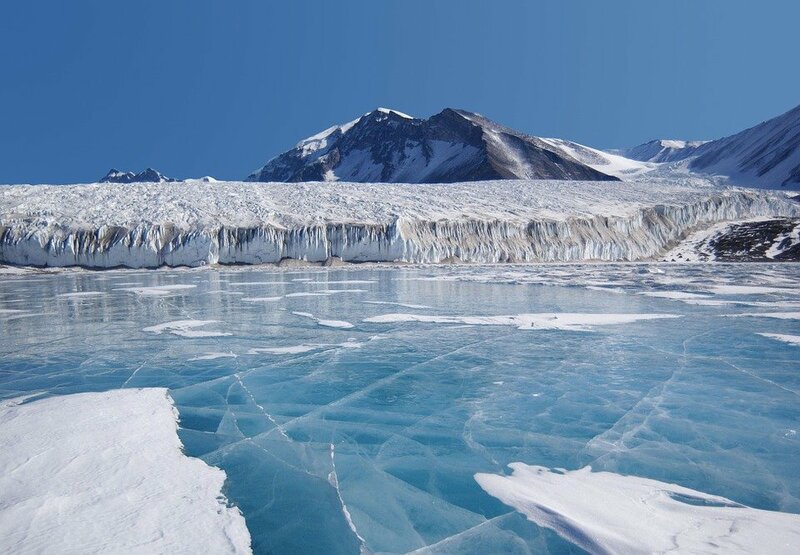 Scientists have discovered giant landforms, known as “eskers” lurking beneath the ice. Some of these massive landforms are five times bigger than those seen in regions where ancient ice has retreated, and researchers say they’re shaping the ice hundreds of miles away. Researchers have long suspected there are landforms beneath Antarctica, but the thick ice prevent us from observing what is hidden thousands of feet below. Now, using satellite imagery and airborne and ground-based radar data, researchers from the Université libre de Bruxelles in Belgium and the Bavarian Academy of Sciences in Germany have detected distinct ‘radar reflectors’ below Roi Baudouin Ice Shelf in Dronning Maud Land, Antarctica.